Enjoy a seasonal twist on this Moscow Mule recipe. 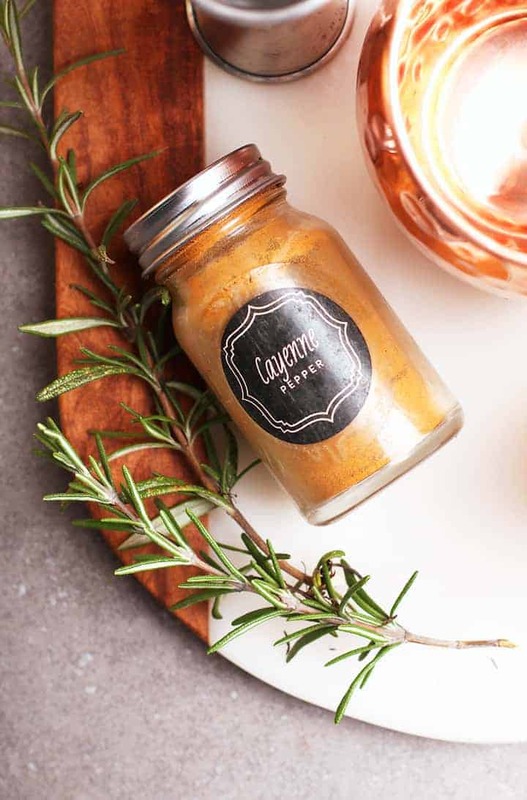 Mixed with homemade pumpkin butter and fresh rosemary, this is the perfect cocktail to serve at your holiday parties all season long. 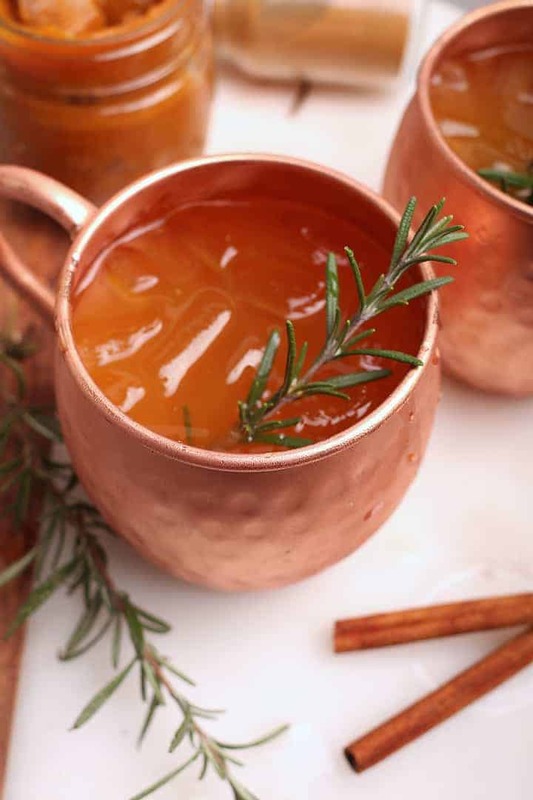 Remember earlier this week when I mentioned the Pumpkin Moscow Mules I was enjoying on Halloween? 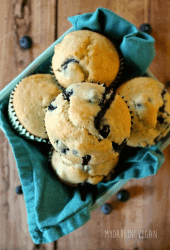 Well, you didn’t think I’d leave you without a recipe, did you? Of course not! I was just waiting for the perfect time. Raise a copper mug and join me? Moscow Mules are a common cocktail that originated in the 1940s. The cocktail is a combination of vodka, ginger beer, and lime. 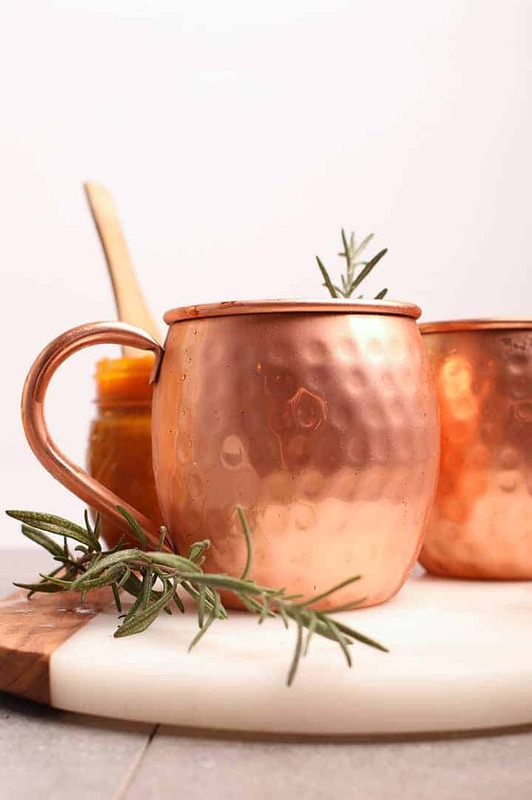 Perhaps the most iconic thing associated with Moscow Mules are the beautiful copper mugs. 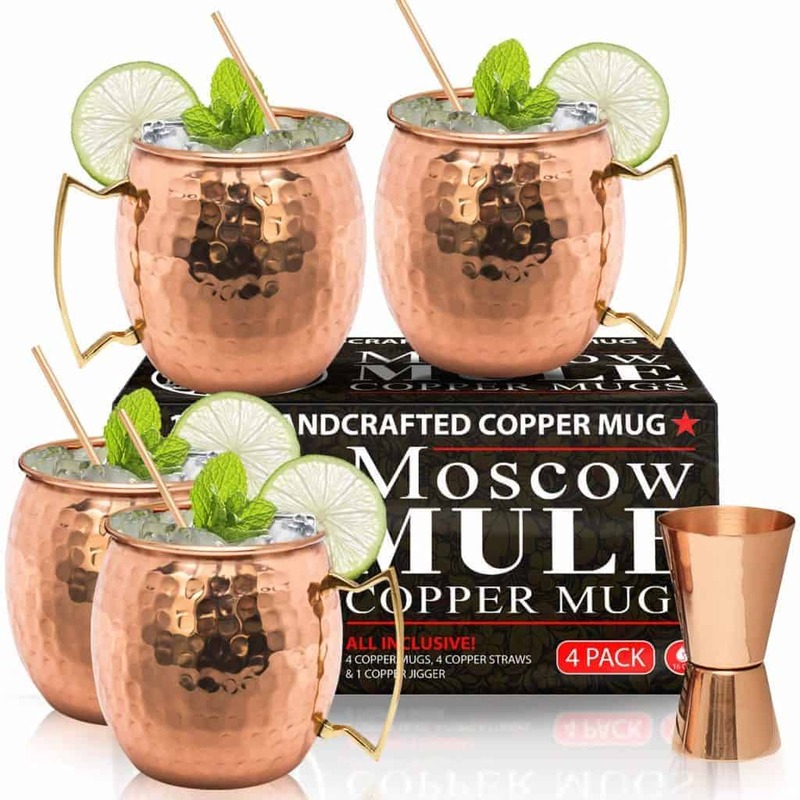 These Moscow Mule mugs became famous by its creator John G. Martin who, in an attempt to promote the new drink, went around the country asking bartenders to pose with their specialty copper mugs and a bottle of Smirnoff. These photographs were put in a collection to “prove” the popularity of the drink. And it worked! 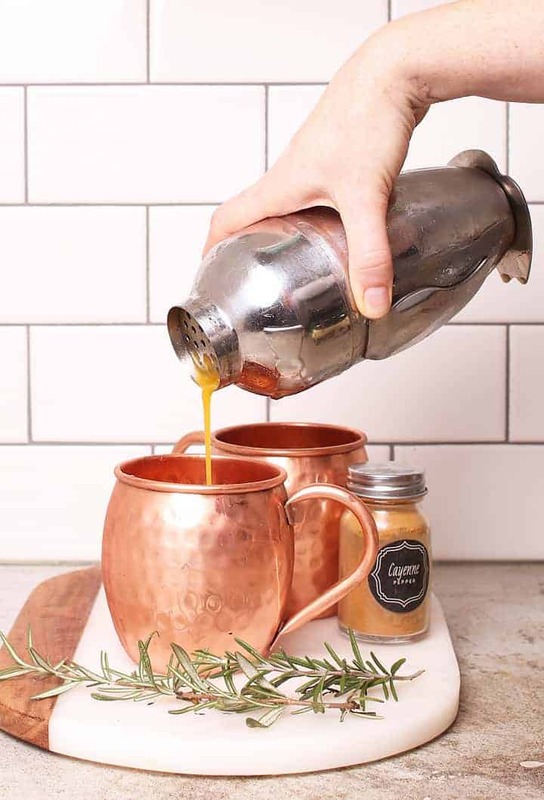 Now nearly every bar has a Moscow Mule and most of them are served in these iconic copper mugs. 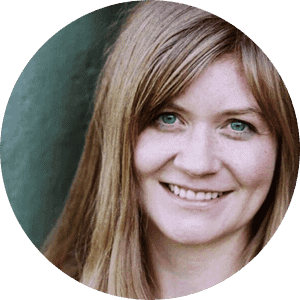 I love my copper mugs and although I don’t drink Moscow Mules often, I love pulling them out for festive occasions. If you are a cocktail lover, they are worth checking out! To make this Moscow Mule fit with the holidays, I added a little bit of pumpkin butter, a pinch of cayenne, and a sprig of rosemary. 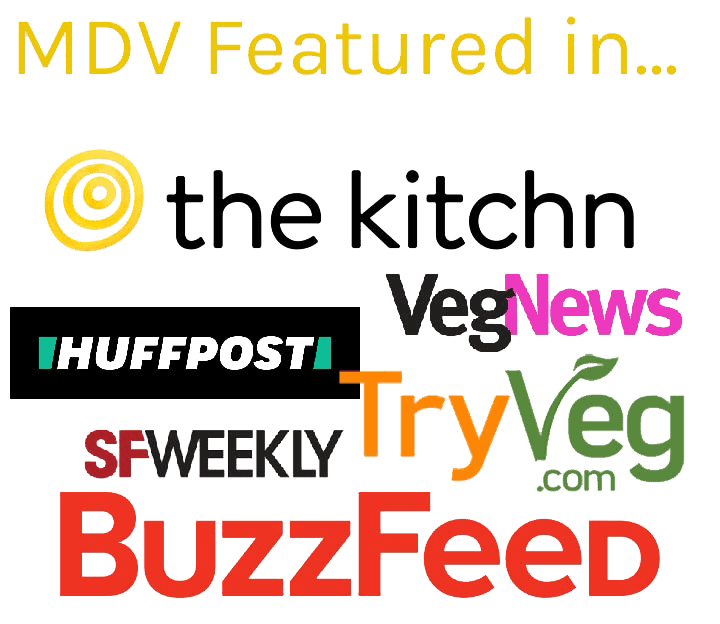 I’m sure there is vegan pumpkin butter out there, but all the store bought ones I’ve seen contain honey. 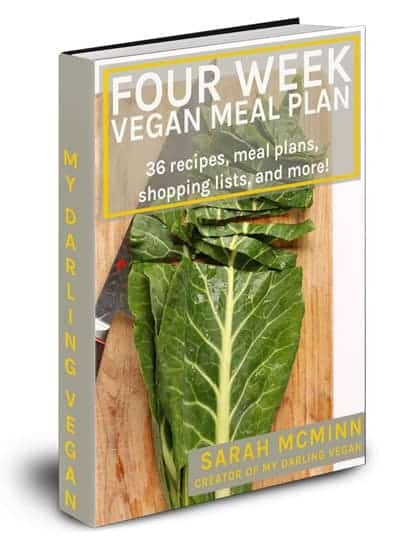 That’s why for this recipe I choose to make my own. Because there are so few ingredients, Moscow Mules are super easy to make. Add vodka, pumpkin butter, cayenne, rosemary, and ice in a cocktail shaker and shake vigorously to incorporate the pumpkin butter. Place 2-3 ice cubes in the bottom of each Moscow Mule Mug. Through the strainer, pour your vodka/pumpkin mixture evenly between the mugs. 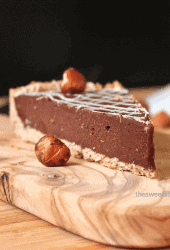 Top with kombucha or ginger beer. 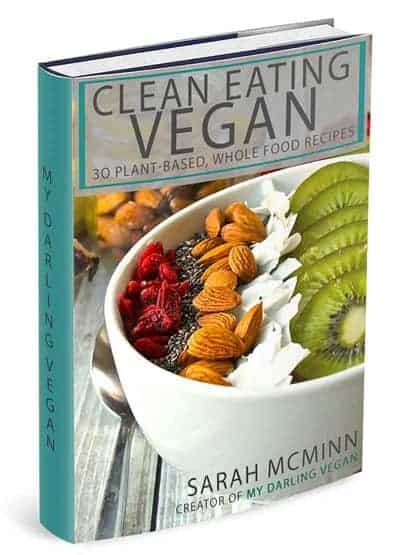 I choose to use kombucha for this recipe because it makes the cocktail less sweet and boozy while providing a pleasant tanginess to the cocktail. However, ginger beer is the more common choice. Here are the best ginger beers for your Moscow Mule recipes. Other variations of Moscow mule. 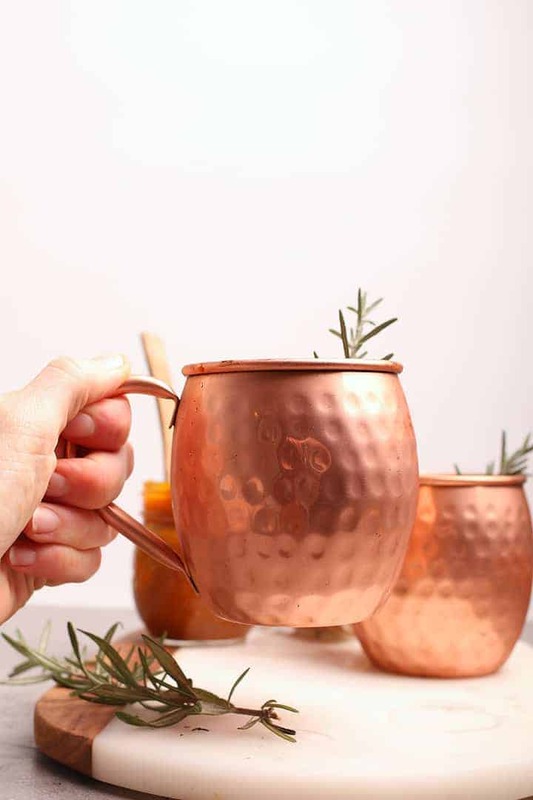 Now that you’ve got the copper mugs, let’s make sure to enjoy Moscow mules all year long. Try a few of these variations for your Moscow Mule. May your Thanksgivings be filled with warmth, family, and gratitude. I’ll be back after the holiday to start Christmas. 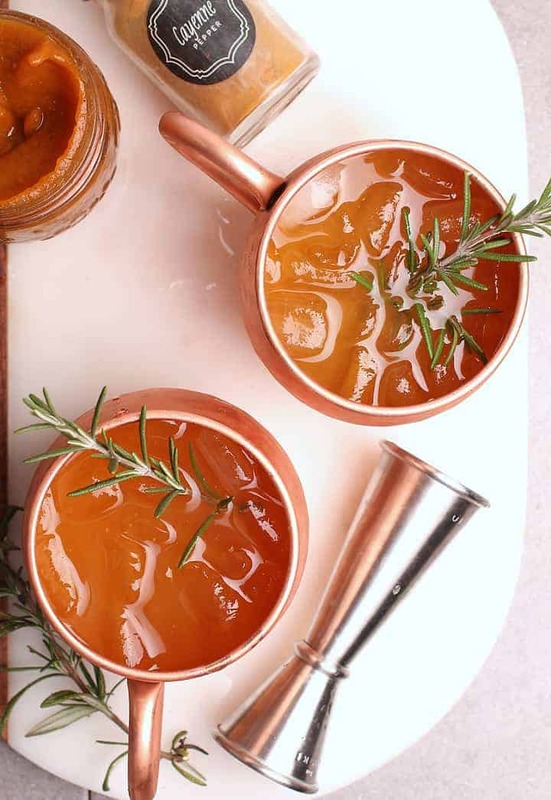 Combine the vodka, pumpkin butter, cayenne, and one sprig of rosemary along with 3-4 cubes of ice in a cocktail shaker. Shake well to ensure the pumpkin butter gets well blended. Place 2-3 ice cubes in the bottom of two Moscow Mule mugs. Pour the vodka/pumpkin mixture through the strainer, evenly dividing between the two mugs. 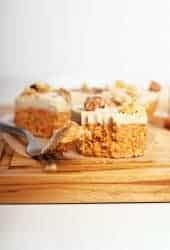 Top with kombucha or ginger beer. Serve immediately with a sprig of fresh rosemary.